Fans of Tim Burton and Dark Shadows will not be disappointed by this new hardback coffee table publication from long-time Burton chronicler Mark Salisbury. The book delves into the making of the Johnny Depp starrer, offering up great behind-the-scenes glimpses and interviews. Burton’s films are always visual feasts and Dark Shadows: The Visual Companion, illustrates the luscious set designs and magnificent costumes. From early sketches (by Burton) to stills from the finished film, the book covers all areas of production, showing the hard work and effort which the cast and crew went to in order to replicate 1700 and 1970 Maine in England. The highlight of the book being how they built the coastal village of Collinsport on the Pinewood Studios backlot – truly fascinating. Salisbury had unlimited access to Burton, producer and star Johhny Depp and the rest of the cast and crew including Michelle Pfeiffer, Helena Bonham Carter, Eva Green, writers Seth Grahame-Smith and John August, composer Danny Elfman and the film’s producer, the late Richard Zanuck. We learn how the film came together and that production delays saw the tone of the film shift from gothic horror to black comedy due to the mass saturation of vampire films and television series. The book isn’t flawless. At times the text is quite superficial (well, it is a Visual Companion), lacking real bite. It could have gone into much more detail on the actual production and development of the film, giving more detail on the original television series by Dan Curtis (on which it is based). However, much like Tim Burton’s films, it is all about good looking visuals and Dark Shadows: The Visual Companion does not disappoint on that front. 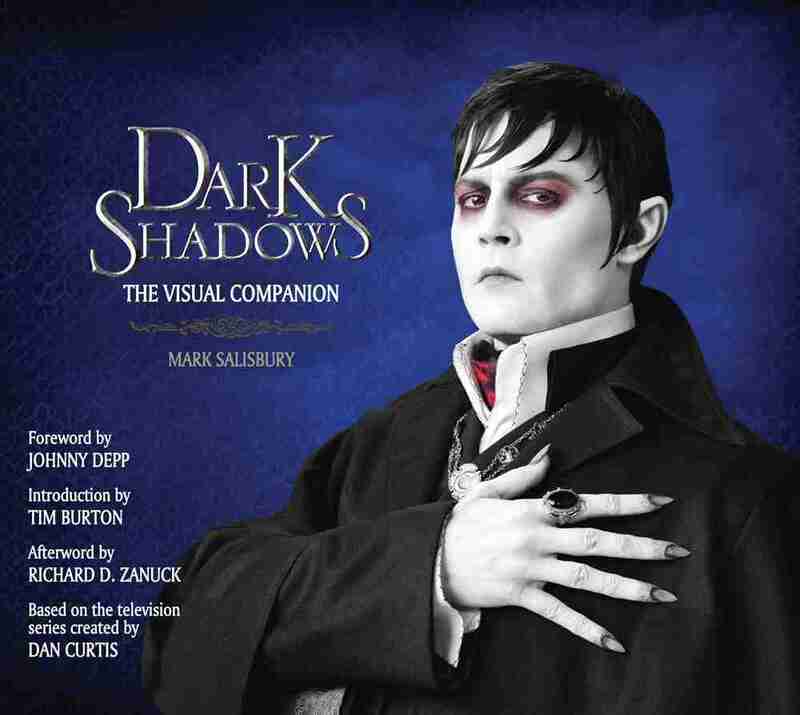 Dark Shadows: The Visual Companion, by Mark Salisbury, Titan Books. Published on 26th October 2012, £29.99.